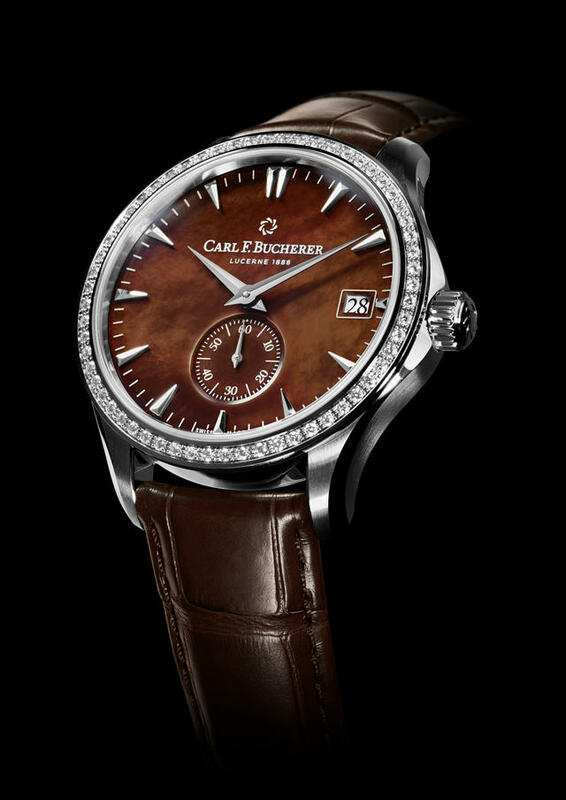 Carl F Bucherer’s second-generation in-house CFB A2000 movement is a pleasure to observe in action, in part because the peripheral rotor never hides the bridges and gears within. In part because the peripheral concept enables a low case thickness, the new movement is perfect for the thin dimensions of ladies’ watches. 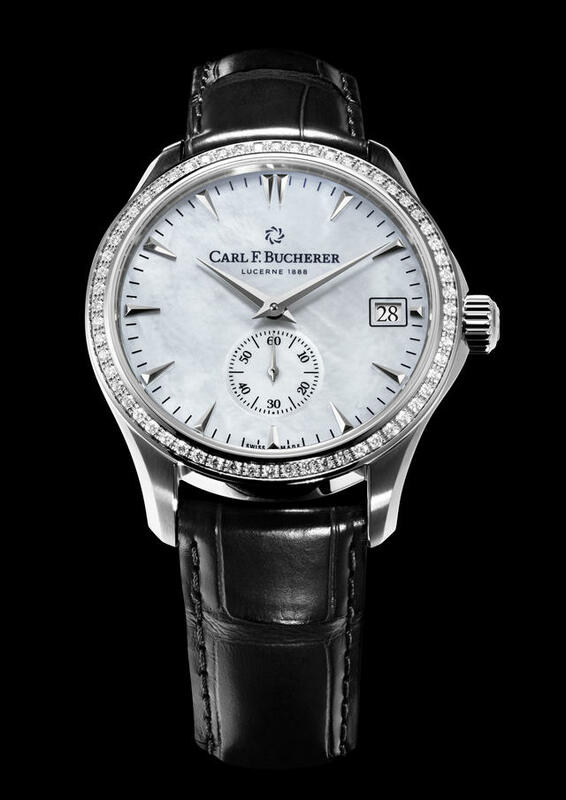 Thus Carl F. Bucherer this year places that new movement within a 40mm Manero Peripheral, set with a diamond-bezel and a choice of mother-of-pearl dials. 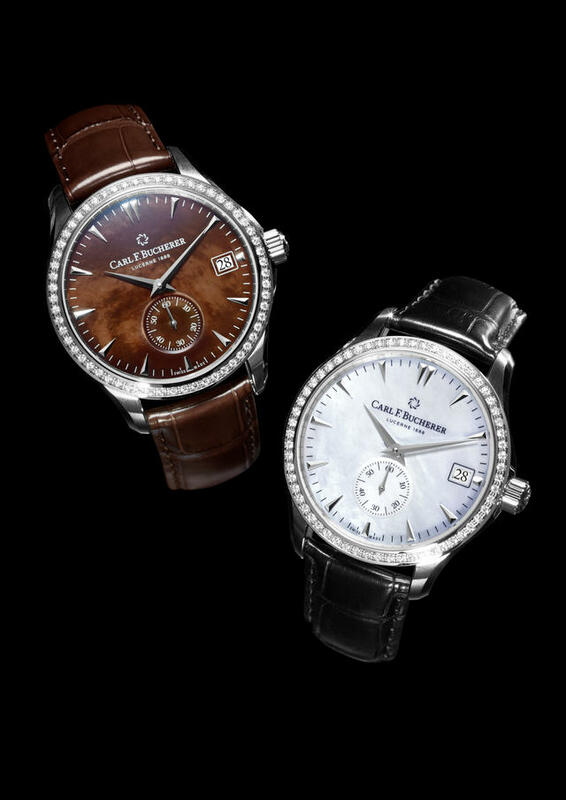 While not a traditional size for feminine wrists, the watch is being billed as a ladies model. I’d argue for gender neutrality, especially with the brown-dialed model. The layout offers a central hour and minute display accompanied by small seconds at 6 o’clock and a date. A power reserve of 55 hours and a COSC chronometer rating only underscore this watch’s serious specs. Alligator leather straps complete the overall look; the white variant features a contrasting black strap, while a leather strap accompanies the model with the velvet brown dial. Price: $9,800.